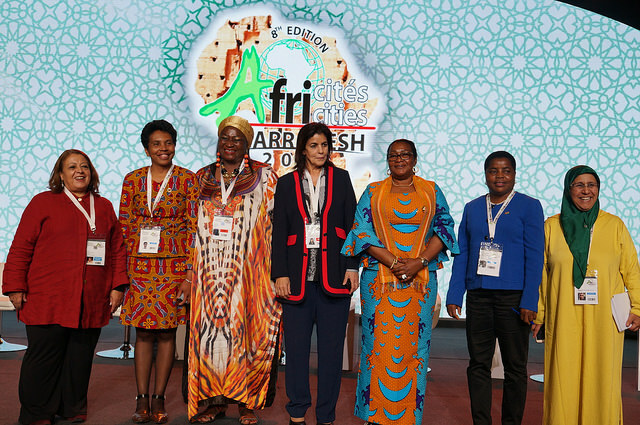 On the occasion of the 8th Africities Summit, held from 20-24 November 2018 in Marrakech, Morocco and entitled “The Transition to Sustainable Cities and Territories, The Role of Local and Sub-National Governments of Africa”, African and European local elected women adopted the Africa-Europe Marrakech Pact to further collaborate on the elaboration of a charter for local gender equality in Africa. Bringing together more than 5 000 participants – from cities and local governments’ officials, to ministries, international, national and subnational networks, partners and key stakeholders for development – the 8th edition of the Africities Summit provided the occasion to hold an open session under the title “Gender equality and social inclusion strategies: for a Just Transition of Africa”. Held on the morning of the 21st November, the session gathered a large number of local leaders and partners for development from Africa in order to discuss the crucial importance of mainstreaming gender equality in local development and governance in Africa, and to adopt a pact of collaboration between the African and the European sections of UCLG aiming at developing such activities. The Africa-Europe Marrakech Pact was officially signed on 22 November by the Secretaries General of the African and European regional sections of UCLG, as well as by the Secretary General of the world organization, under the eyes of a number of African local women and men elected leaders, in order to mark the starting of the elaboration process of an African Charter for Local Equality, based on the principles of the 2013 Paris Agenda, the African Union 2063 Vision, the New Urban Agenda, the 2030 Agenda –and, in particular, SDG 5 and other relevant global agendas and to be further developed by the African regional section of UCLG (UCLG-Africa) and the Network of Local Elected Women of Africa (REFELA), in cooperation with the European regional section (CCRE-CEMR/Platforma) and its Standing Committee for Gender Equality, with the support of the world organization. 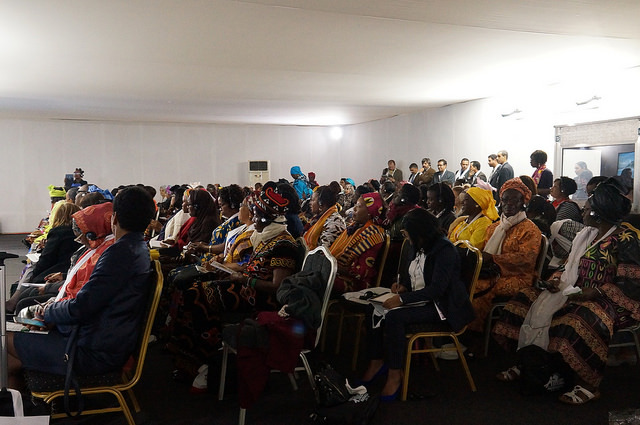 The session “Gender equality and social inclusion strategies: for a Just Transition of Africa” was very well received by the participants to the Summit and gathered around 200 participants, among which were many elected women from Africa. It was first introduced by the President of REFELA, Célestine Ketcha Courtés, who recalled that “elected women are only 6% in Africa at the local level, when they are an average of 23% in the rest of the world; and the same way, they are less than 10% at the national level”, and called on an active commitment from cities and local governments to “focus on the Agenda 2030, and especially SDG 5 on gender equality”, in order to reverse this phenomenon. She also explained how Africa could make its own Agenda or Charter for Equality using the European Charter for Equality as an inspiration, and not as a model. Following, Mayor of Abrantes Maria do Ceu Albuquerque underlined that having a political strategy for gender mainstreaming in political life and governance was a sine qua non condition of local, sustainable and inclusive development. She presented the national, subnational and local policies in place in this view, including 173 cities who dedicate at least one staff member to gender equality issues, and underlined the importance of having a strategic coordination at all levels in order to guarantee an effective implementation of gender mainstreaming, as well as global indicators that allow to assess at any time the state of gender equality in policies. Lisa Bardot from CCRE-CEMR, further presented the European Charter for Equality of Women and Men in Local Life which was signed by more than 1 730 stakeholders, cities and local governments from 35 countries, as well as the Observatory of this Charter, a tool aiming at identifying signatories of the Charter, action plans and good practices in the field of gender equality in local life, in order to facilitate exchanges between signatories and to encourage the development of decentralized cooperation and twinning projects in this field. She placed the focus on the need to have a criteria for normalization, such as the control and monitoring of wage and salary gaps, the establishment of quotas, or the access to equal opportunities. Frédéric Vallier, Secretary General of the European regional section of UCLG (CCRE-CEMR), insisted on the fact that “the European Charter for Equality is an agenda that promotes equality between women and men, and that men, as women do, have an essential part in pursuing this goal”, and should play an active role in achieving this equality. He emphasized that the 2030 Agenda, SDG 5 and the conditions for equality couldn’t be achieved without inclusive policies addressed to all people, including both women and men, and that gender sensitive policies have to be transversal to all other policy areas. Mayor of Tunis Souad Abbderahim, who was recently appointed and is the first woman Mayor of the City in more than 160 years, talked about her experience in accessing to this high level position, and explained how “it is fundamental to acknowledge the achievements of women at high level decision making positions, not only to make them visible but also to help mindsets – often led and set by men – change”. She highlighted the lack of recognition of women inputs in the way of thinking, planning and implementing political changes and sustainable development. She also made reference to the fact that “women’s strength, action and capacity still have to be proven today” and that “militancy, the acknowledgment of rights and freedoms, the involvement of men, the action of civil society and legislative norms are essential conditions of equality between women and men”. The audience also played a key part in this session since many interesting and constructive exchanges happened, among which the intervention of the former President of the Central African Republic, Catherine Samba-Panza, who encouraged her fellow colleagues to share and make visible their experiences as leaders, mayors and elected women, in order to inspire contemporary and future generations, and to valorize women perspectives in the political sphere. Other issues were raised, including the need to rethink legislation frameworks with the aim of making them gender-sensitive; the importance of gender mainstreaming, not only in the political sphere but also in the public, private and civil society sectors; and the need to give women the means to take action, for example by developing micro-financing systems. Finally, the Africa-Europe Marrakech Pact aiming at, among others, triggering the official launch of a charter for gender equality in Africa, was presented and read aloud by Malika Ghefrane, Special Adviser of REFELA, to a cheering audience. In this process, the participants of the session – both speakers and audience – decided, in a large consensus, to name the Charter as the “African Charter for Local Equality”, and presented some additional contributions to the final document and collectively approved its formal adoption. As a conclusion, expert on gender equality Sandra Ceciarini, who also worked with the European section on its Charter for Equality a decade ago, recalled some of the structural and main recommendations to be taken into account in the development of further activities within cities and local governments of Africa regarding gender mainstreaming. She stressed that “the specificities of each UCLG regional section are the richness of the network and I request that Africa genuinely makes gender equality issue its own in order to develop a unique and inspired African Charter for Local Equality”. She also acknowledged the work carried on by UCLG as a global network in the promotion of gender equality in the last years, and called on the active involvement of each regional section of UCLG for the visibility of women in politics, at all levels, across the whole world. Célestine Ketcha Courtés, President of REFELA, closed the session on gender equality and social inclusion strategies for a just transition of Africa saying that “we need to get as many women as possible to sign this pact, to take part into this project, and contribute to it in order to guarantee that by 2030, future generations of girls and women will have a place at the global decision-making table". 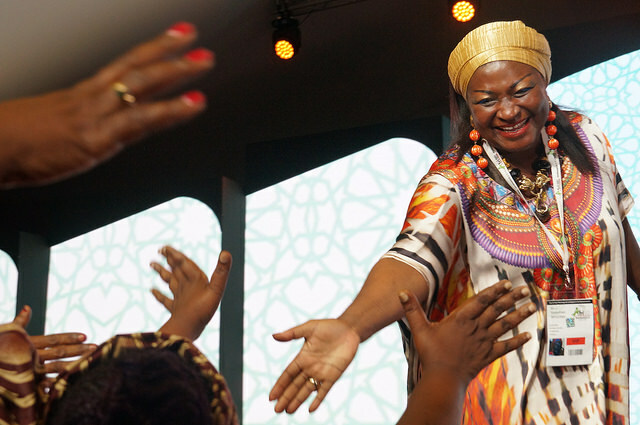 During Africities more meetings could be experienced where the empowerment of women was reflected in the decisions of several assemblies. The Assembly of REFELA (Network of Elected Women in African Local Authorities), held on Thursday 22 November and witnessed by numerous mayors who are members of the network, confirmed the renewal of REFELA's bodies with the election of the presidency. 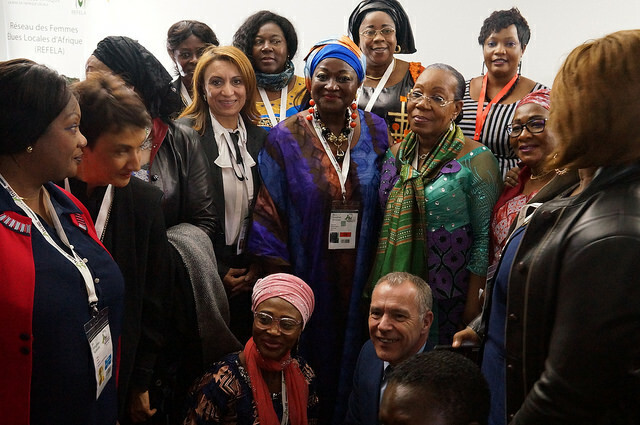 The women mayors of Africa renewed their confidence by electing Célestine Ketcha as President of REFELA, and Fatna El Khiel, Secretary of State, attached to the Ministry of National Planning, Urbanism, Housing and Urban Policy; Macoura Dao, Mayor of Foumbolode (Côte d'Ivoire); Katrina Shimbulu, President of the Association of Local Authorities of Namibia (ALAN) and Irma of Madagascar as vice-presidents. 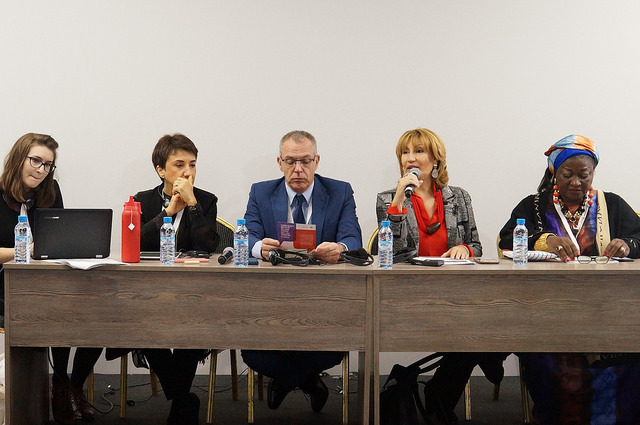 UCLG Women is delighted as a network to have witnessed this meeting with the local mayors and elected representatives who make up its executive board, which is sure to bring new perspectives and commitments to equality at the local level. 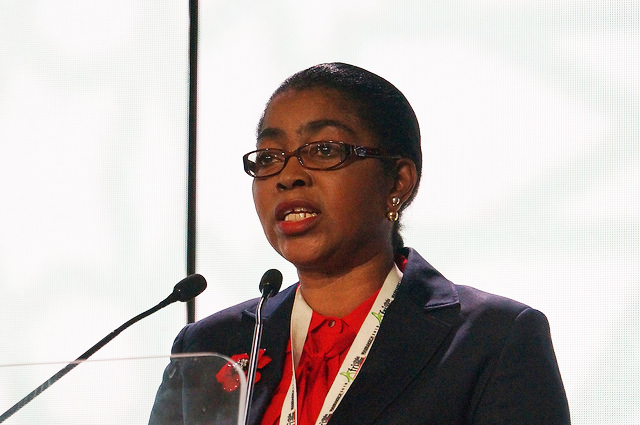 Another of the most important moments for women in the political sessions of Africities 2018 was the election of Rose Christiane Ossouka Raponda, Mayor of Libreville, at the Assembly of UCLG Africa as the new President of UCLG Africa for the next 3 years.